Hi, everyone. It's Constance with BodyTx Massage and Health. I thought I'd jump on here. It's been a while since we've jumped on video here. But, I wanted to talk a little bit about people who are thinking or have been recommended to try acupuncture and are kind of on the fence, not totally sure about what acupuncture is about. I thought that I'd talk about my own experience because, obviously, I can relate the most with that, but also because I understand what you're going through if you're kind of not sure about what acupuncture is and why would you try it. Many years back, I was also asking others who were trying acupuncture. I said, "What is this about? What do you do? What do you feel out of it? What do you get from it?" And so the answer would be, "Well, you go in for a treatment. You lie there. You have some needles placed on your body, and then an hour later, you walk out and you feel great." The massage therapist in me who feels, I like to kind of feel tangible, see the muscle release, and so I just like to feel it in the muscle as it releases. It was hard for me to visualize like how does this work if you're just placing needles in the body, and somehow results happen from it. Anyway, I thought I'd talk a little bit about that just because I know that there's so many people who could benefit from acupuncture, and if there's this sort of mystery around things, sometimes it throws people off a little bit, and they push it back on the back burner, and don't actually go and try it out. If you haven't tried it, you're really missing out. It's a wonderful, safe, natural, health treatment method that can be integrated with anything. Even if you are on prescription medication, or doing other types of Western medicine, it's such a complementary health treatment method. It's actually being recognized as a way of integrated health. Integrative medicine is what it's now getting the buzz word for, so, where Western medicine meets Eastern medicine. And so, I really wanted to convey how great this type of treatment is, and that you're missing out if you are concerned about some, you have some questions, and not totally sure what acupuncture is about. One of the things that does sort of deter people from actually trying it is that they don't know what happens during an acupuncture treatment. I remember thinking about that myself going, what do you do? Do you just lay there, kind of thing? Really, the truth is that, yes, you do. You get a chance, a slice of time for yourself, for one thing. When the needles are placed you barely feel it. These needles are the size, like thinner than a strand of hair. We have a few pictures of that on our website and our blogs before, where we've compared it. You really don't feel these needles. But, as they're placed in, you really don't feel them after they've been placed in. If you do feel sort of a dull, achy sensation around the needle, then that means it's doing its job. It's really helping you for what you're in for at the treatment. You have the needles placed in, and often times, I find that I actually just relax, and rest, and it's sort of like a meditative chance to just let the mind go. The lights are dimmed. You have a quiet time to yourself. Then, the needles are doing their job on the acupuncture points. Afterwards, you may feel a little bit sleepy just because you have been resting for almost an hour. But, the after results, like I had my first treatment I had the best sleep ever afterwards. I was out. You can have such great results out of it, even though it may not feel like you're physically getting something done at that time, the after effect is awesome. The other thing I wanted to talk about is, some people kind of go, "Well, do I need to believe in acupuncture?" There's sort of this idea that acupuncture is this sort of myth kind of thing that has been around, and doesn't necessarily have sort of scientific backing to it. A lot of people look for that scientific backing. Really, what is important for you to understand is that one treatment won't fix it all. You do need to sort of commit to the treatment plan that is set for you. It could be one or two times a week for maybe four weeks. It could be maybe just every two weeks. It just depends on the situation that you have. But, definitely the biggest thing that you want to give yourself a chance is to commit to more than just the one treatment, to commit to the treatment plan and give it a chance because it does have a cumulative effect in that you get better, and better, and better. Then, sometimes, you're just needing to come in for quick tune-up sessions with the acupuncture. It's really awesome. If you feel like a cold is coming on, it's best to get that done, the acupuncture, right away because your body will respond that much faster after having had some acupuncture tune-ups. Anyway, I just thought that, that was an important thing too. For some people, they just kind of feel like, "Oh, what? You know what? Like, I don't really know anything about it. Do I need to kind of really understand where its background is from?" No. You just come in and you try it, and you'll see the benefits of it. The other thing that I think a lot of people don't understand with acupuncture is how many conditions and symptoms it can treat. The World Health Organization has a huge list of conditions and symptoms that they recognize that acupuncture can assist with. In addition to that massive list, and we're talking things like anxiety, depression, irritable bowel syndrome, all kinds of digestive disorders that the World Health Organization suggests that acupuncture can assist with. But also in addition to that, there's a whole bunch of things that some people don't realize that acupuncture can help with, and that's sprains, strains, post-surgery recovery. If you want to heal quicker, acupuncture can help a lot with that. Even with women's health, so PMS, gynecological conditions that you're experiencing as a female, acupuncture can do wonders for that, as well. 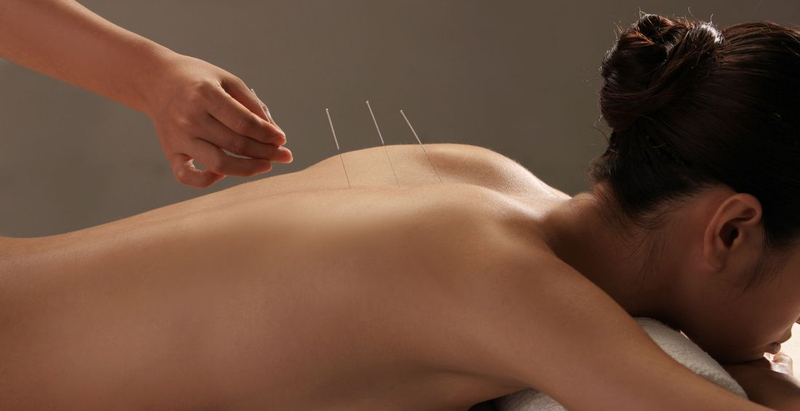 Anxiety, depression, addictions, sleep disorders, that is a huge help for acupuncture. Like I say in my experience, I had the best sleep after my very first acupuncture treatment. It was amazing. I was really surprised. I remember messaging Sarah, our acupuncturist saying, "Wow, I had a great sleep." Anyway, I just thought I would touch base on a few of those sort of questions that are sort of mystery questions that people kind of wonder about acupuncture. Like I say, another thing is the needles. A lot of people are fearful of needles, but we've had so many people come through who were fearful. Sarah was able to put them at ease. It's such a painless experience, and they're so amazed at how painless it is. Really, don't let that fear stop you from experiencing the benefits of acupuncture. So, any questions, Sarah would be happy to answer any questions you have. Definitely feel free to ask them. If there's something that's really stopping you from trying acupuncture, there is no harm in sending an email to Sarah at [email protected] and she'd be happy to answer those questions. Thanks for listening. Hope this helps for anyone who's sort of on the fence about acupuncture. Have a great day.